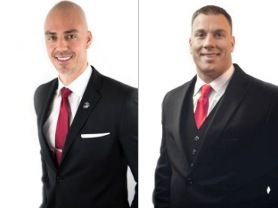 Two Marines, Jason McNamara and Ben Thompson founded Squadleaders to offer both veteran Mentoring and veteran Peer support through the manageable size of a squad. Squadleaders is dedication to providing high-quality career and personal mentoring, engaging community programs, and energizing social activities. Connection matters. Strong networks exist for vets, and the best groups offer more than a common past. Instead, they offer a hopeful and expanded future. After you’ve been part of the tightest network in the world, you don’t want to lose the camaraderie. Jaime Parent (USAF ret) is VP of IT Operations at Rush Medical Center in Chicago, and shares IT scholarships and job placements for qualified, trained veterans, and joins us toward the end of the hour. Download the podcast here http://bit.ly/1SgcrBq, and Listen Live by clicking below. Air date 02Jun2015.